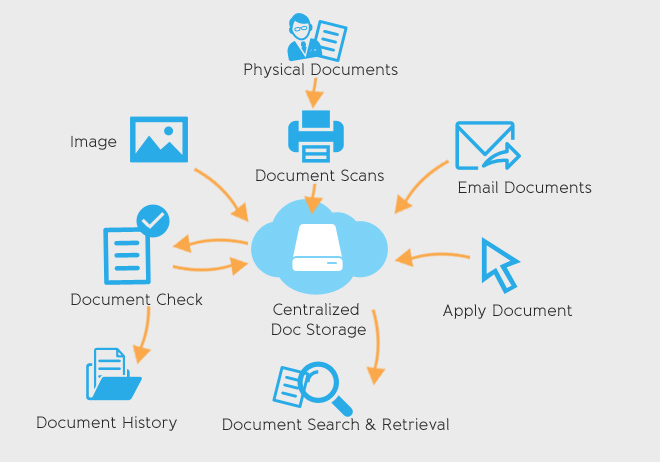 It’s a revolutionary document management software that’s built to store, manage and track documents. KENRegister™ is also capable of keeping a record of the various versions created and modified by different users which helps in tracking history and is an effective system that increases output and automates crucial business processes. This advanced software offers compelling document management features, which can be used by organizations irrespective of their sizes. With KENRegister™ powerful history tracking characteristic modified for each user, this software increases business outputs and automates crucial business processes in a timely manner. It enables enterprise users to create, manage, capture, share and archive all documents at a cloud based secure work module with 24x7 access from any device. It helps staffs to manage business documents more efficiently, to maintain an excellent workflow with all the needed information. KENRegister™ supports all genre of businesses, no matter how small or big and complex it is. It provides superb document management capabilities which can be used to connect Business Staffs-to-information-to-company. Its simple and easy to use work interface allows business executives to integrate all essential business documents, which can be later search and use easily by advance search functionality. Especially designed to meet the unique requirements, KENRegister™ increases your organization’s productivity while decreasing the risk of errors and security risks. Find any file in seconds. Find current and previous versions saved in one place. Unbreakable security for all their files. Save time by enabling collaboration among users. Anywhere accessibility with any device. A centralized repository where you will get unlimited storage option and freedom to access your documents anytime, anywhere with easy access. Comes with excellent security measures to secure your confidential business information and documents. It’s a timesaver and also a money-saver. Provides you easy file sharing options with colleagues. Includes trouble-free file retrieval system, backup option and disaster recovery. More control over industry documents through easy audit options. Easy tracking options for better control over previous and new versions of documents. Easy categorization, rating and tagging documents for quick access of documents. Convenient user interface for better document management. Attractive search features to find documents quickly.